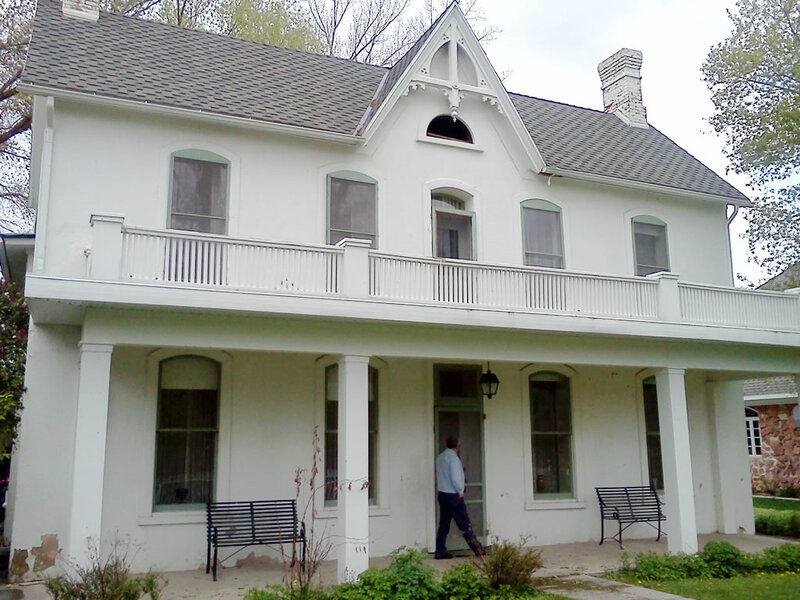 Today I visited Huntsville, Utah and the childhood home of our ninth LDS Church President in these latter days, David O. McKay. While there, we read a little bit about his life and teachings, and I was struck by the great example of missionary work that he exhibited throughout his life. “When [David O. McKay] was eight years of age, his father received a call to go on a mission. To accept such a call for two or three years away from home was no easy decision to make. Another baby was on its way, and plans had been made to enlarge the house and furnishings. 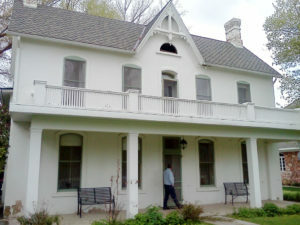 The responsibilities of running the farm were too great to be left to his wife, so when David showed the letter calling him to a mission, he said: ‘Of course it is impossible for me to go.’ Jennette read the letter, looked at her husband, and said decisively: ‘Of course you must accept; you need not worry about me. David O. and I will manage things nicely!’ . . .In the absence of his father, the boy David quickly redirected his energies to chores and farm work. Circumstances thus helped to produce a maturity beyond his physical years” (Llewelyn R. McKay, Home Memories of President David O.Young David O. McKay, about age five McKay , 5–6). 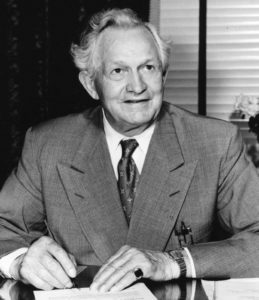 When he was 21, David O. McKay entered the University of Utah where he debated, played the piano in a musical group, and played on the football team. There he Emma Ray Riggs, whom he later married. He graduated in 1897 as president and valedictorian of his class and was offered a teaching position. 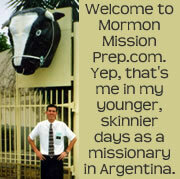 He also, at that time, received a call to serve a mission. The call of the Lord to serve as a missionary may have came at an inconvenient time, but he left all that was dear to him and went to his ancestral Scotland. While serving in Stirling, Scotland, David O. McKay had an experience that affected the remainder of his life. He and his companion had been in the town for a few weeks, but had had little success. They spent part of a day walking around Stirling Castle and Elder McKay was feeling homesick. He later recalled: “As we returned to the town, I saw an unfinished building standing back from the sidewalk several yards. Over the front door was a stone arch, something unusual in a residence, and what was still more unusual, I could see from the sidewalk that there was an inscription chiseled in that arch. I said to my companion: ‘That’s unusual! I am going to see what the inscription is.’ When I approached near enough, this message came to me, not only in stone, but as if it came from One in whose service we were engaged: ‘Whate’er Thou Art, Act Well Thy Part.’ “I turned and walked thoughtfully away, and when I reached my companion I repeated the message to him. “That was a message to me that morning to act my part well as a missionary of the Church of Jesus Christ of Latter-day Saints. It is merely another way of saying . . . ‘Not every one that saith unto me, Lord, Lord, shall enter into the kingdom of heaven, but he that doeth the will of my Father which is in heaven.’ (Matt. 7:21. )” (Cherished Experiences from the Writings of David O. McKay, comp. Clare Middlemiss , 174–75). He resolved that he would act well the part of a committed missionary. The stone was later acquired by the Church and is now in the David O. McKay exhibit in the Museum of History and Art next to Temple Square. In December 1920, Elder David O. McKay left on a world tour that helped shape his experience and prepared him to preside over unprecedented growth in Church membership. “Presidents Heber J. Grant, Anthon H. Lund, and Charles W. Penrose, and several of the Apostles laid their hands upon President McKay’s head and blessed him and set him apart as ‘a missionary to travel around the world’ and promised him that he should be ‘warned of dangers seen and unseen, and be given wisdom and inspiration from God to avoid all the snares and the pitfalls that may be laid for his feet’; that he should also ‘go forth in peace, in pleasure and happiness and to return in safety to his loved ones and to the body of the Church,’ he has experienced the protecting care of our Heavenly Father in all his global ministry” (Clare Middlemiss, comp., in McKay, Cherished Experiences, 37). On April 9th, 1951, David O. McKay was sustained as the ninth President of the Church during general conference. On that day, he said: “It is just one week ago today that the realization came to me that this responsibility of leadership would probably fall upon my shoulders. . . “When that reality came, as I tell you, I was deeply moved. And I am today, and pray that I may, even though inadequately, be able to tell you how weighty this responsibility seems.” Soon after being called as the prophet, he set out on a tour of missions around the world. He eventually traveled over a million miles, traversing the earth like a modern Paul. Missionary work accelerated as every member was encouraged to participate in missionary efforts. May we all follow the example of this great modern day prophet. Be willing to sacrifice all that is necessary to serve a full-time mission. 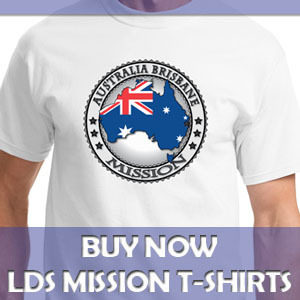 Be a member missionary and dedicate our lives to the building up of the kingdom of God.